A new Saint Michael the archangel red macrame rosary bracelet. Sturdy nylon macrame cord. 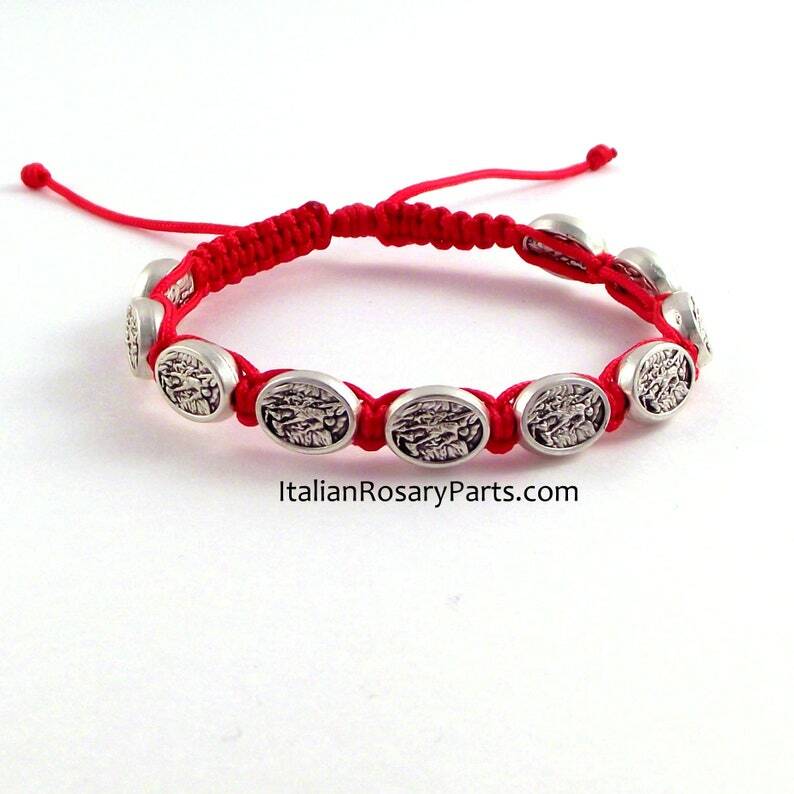 The beads are double-sided with Saint Michael on the front and a guardian angel on the back. The bracelet is adjustable from 6-1/2" up to 9-3/4". The beads are nickel silver and made in Italy.